Working at home can be tough with kids. But it's not only hard on us moms….it's hard on the kids too. They get bored. They don't understand mom having to be at the computer all the time, or on the phone. I can remember my daughter being about 2 years old and she just had a fit every time I tried to work. I found myself trying to squeeze all my work into her napping schedule. It's hard to only have 2-3 hours to work! And that was back when I was trying so hard to get MoneyMakingMommy off the ground. So it was many late nights of work. Weekends were spent mostly working too because my husband was home and would keep the kids busy while I worked away in my little corner of the dining room. It was a time of heavy burn-out and frustration. But I finally was able to strike some balance by finding things for the kids to do right there in the dining room with me while I worked. There are lots of fun sites on the internet for little ones now. WebKinz are a huge hit. But Disney, Nickelodeon and Barbie all have interactive websites. There is also a great Polly Pocket site too. Those are big name sites for kids….but there maybe more that you've not heard of…so check out the list below. Club Penguin and Wizard101 are also the “latest”, greatest sites for kids to play on and they are interactive – so their friends can join them online. There are membership fees involved though. But not all families have a free computer or ipad/tablet for kids to just “play” on. For years my work computer was THE family computer. Now I have a laptop that allows me to do just work on. So…without a computer….video games…what can keep kids busy? The prize winner….the easiest, cheapest thing for them to do is coloring. Coloring is easy and printing off free coloring pages makes it very affordable. There is a wealth of fabulous free coloring pages on the internet. Free coloring pages are easy to use and provide a lot of entertainment for little ones. Coloring pages are printable on most sites and many include popular characters. We've listed our favorite free coloring page sites below and we are always adding new free coloring page sites when we find them. Whether your child loves Phineas and Ferb, SpongeBob, Bratz, My Little Pony, Pooh Bear or Disney Characters, you are sure to find free coloring pages and printable coloring pages for your kids to enjoy. So…grab some crayons, colored pencils or markers and start printing out some fun. Disney Princess Coloring Pages (FREE) – All the favorites! Totally Spies Coloring Pages – Groovy and Awesome free printables of the Totally Spies team! PowerPuff Girls Coloring Pages – Buttercup and the Gang! Bratz Coloring Pages – Your favorite characters ready to be colored, free printables of Chloe and the gang! Free Bratz Printables: Cute pics of all your Bratz favorites! More Bratz Free Coloring Pages: Jasmine, Chloe and More! Fun Bratz printable coloring pages. All free. Bible-Based Coloring Pages for Kids – Kid Explorers A wide variety and free. Coloring pages at Coloring-Page.net – Free printable kids coloring pages, sheets and pictures of Winnie the Pooh, Disney characters and more! Coloring book pages of Barbie and Scooby Doo. Preschool Coloring Book – Let's Get Ready To Color! Get your preschooler ready with this great site! ColoringBookFun.com – Coloring Pages – Printable Pages Seasons, holidays and more. Alphabet Free Coloring Pages – A great way to start learning letters. Use these great FREE coloring pages. 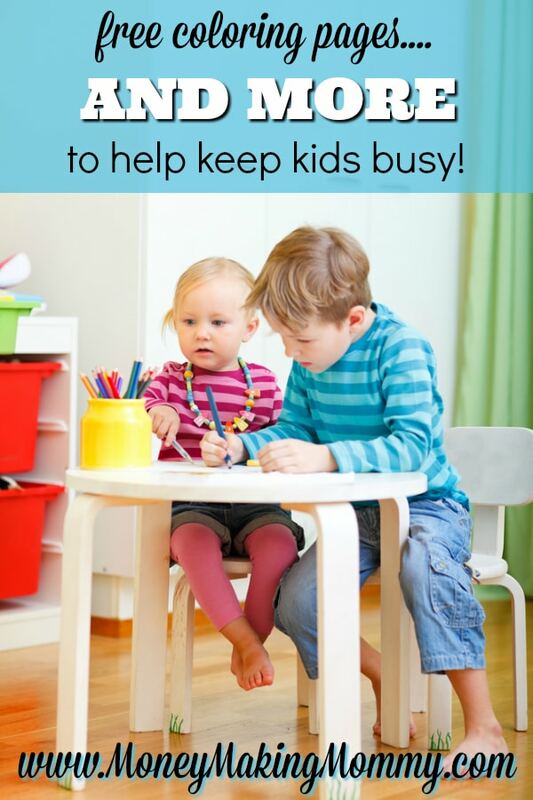 101 Activities To Do With Your Toddler – A great place for mom's to find things to do for busy and bored toddlers. I personally go to this site a lot! I love the recipes too. Nick Jr Home of Blues Clues! Great site for young children. It has a interactive Blues Clues game for your child to play. Fisher Price Fun Play – Lots of games and toddler activities here! NickJr – Home of Blues Clues, Little Bear and much more! Download weekly games and coloring pages. Sesame Street Central – Look it's Big Bird Mom! Kids at NationalGeographic.com – Explore the world and animals here! Wacky Web Tales – Like the old Mad Libs – you supply the words, and the site plugs them in to make a goofy story. Yuckiest Site on the Internet – Lots of yucky fun stuff for your kids! Cyberkids – Where Creative Kids weekly on-line magazine for kids, by kids. You can submit articles, artwork, stories, etc. Play games, learn magic tricks, and more. Lisa Frank.com – Is your daughter wild for Lisa Frank? Then you gotta check this site out! It has a club, chatroom and activities for young girls. Magic School Bus – A educational site based on The Magic School Bus program. It has a activity lab, coloring book and an art gallery! Little Lilly Polka Dot – Fun site for 3-6 year olds. Games and more. The Hampster Dance – Little hamsters dance all over the page! Family Fun – Many activities and information for parents as well. Cartoon Network.com – The Cartoon Networks home page. The Idea Box – Do your kids get bored and drive you NUTS?! This site has on-line stories, printable pages, games, crafts and recipes all for kids!